Every predatory fish living in salt, brackish or fresh water actively hunts and eats prawns, shrimps, yabbies, crayfish and other crustaceans. 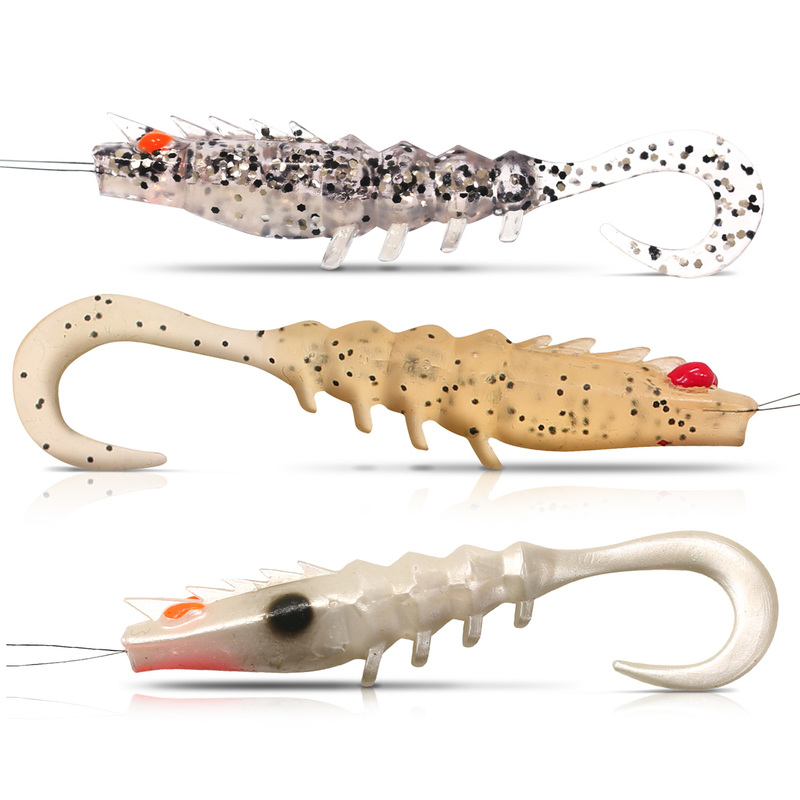 Our new Squidgies Pro Range Prawns combine the proven fish-catching actions of our phenomenal Squidgies Wriggler tails with the body shape, profile and sonic signature of a live prawn or large shrimp to provide the ultimate attack response trigger. Squidgies curly-tailed wriggler-style Prawn is the lure of choice when a subtle, ultra-finesse approach is called for, especially in very clear water or on finicky, hard-pressured fish that have seen a lot of other lures. 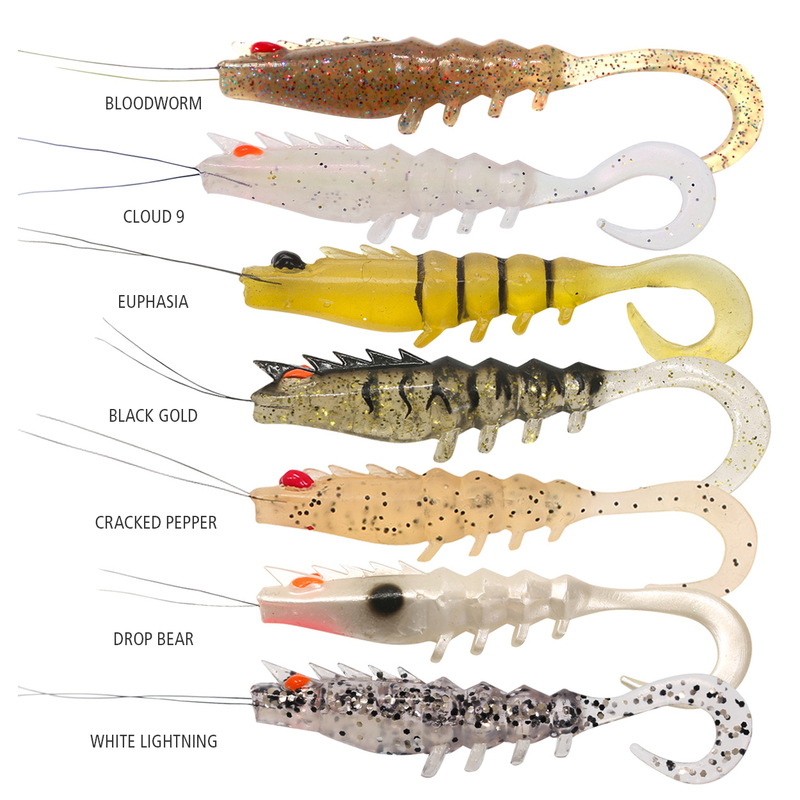 There窶冱 a size and colour in the new Squidgies Pro Range Prawns line-up to suit every sportfish swimming in Australian waters, from fussy trout, perch and bream through flathead, snapper and jacks to big, bad mulloway (jewfish) and barramundi. If it swims and it窶冱 even thought about eating a prawn, shrimp, yabby, cray or cherabin, it will absolutely smash a Squidgies Prawn! Rig a Squidgies Prawn tail on a suitable jig head (our Squidgies Weapon Heads are perfect! ), tie it to your line or leader, add a smear of S Factor feeding stimulant and fish with confidence窶ｦ These lures are DEADLY!